Are you searching for a way to remove WordPress post revision? If yes, then you are at right page. 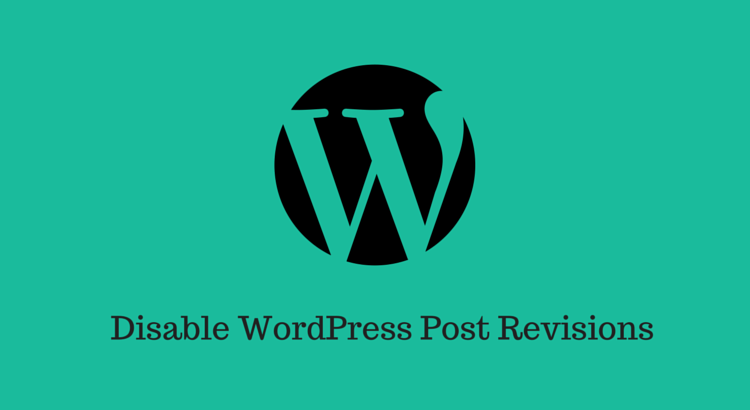 In this page, we will discuss WordPress post revision and the way to disable it. WordPress revisions is an awesome thing of WordPress. It stores a record of each saved draft or published updates of a post. This system allows you to see what changes were made in each revision, What was added, what remained unchanged and what was removed. Lines added or removed will be highlighted. Revision page also lets you compare two revisions. One important thing is that autosave will have only one revision for the single user. Read more about WordPress revision here. So, WordPress revision is an important thing. It helps in recovering the previous version of the article if you mistakenly edited and ruined the blog post. You can easily revert back. Does WordPress Revision impacts on load time? It is a common myth that having multiple post revisions slows down your website. Actually, WordPress is smart enough to optimize your posts. So if you have few posts, then you will not see any impact. But it consumes your space. And if the number of posts is too large, then it will also have little impact in query time. If you blog has hundreds of posts, it means you have few hundreds of revisions which are almost copies of your existing post. So, you can delete revisions to decrease the size of the database. How to delete post revisions? In my previous post about WordPress database optimization, I discussed a nice WordPress plugin WP-DB Manager. This plugin also gives you an option to delete WordPress revisions. If you are using this plugin, you can select ‘Delete revision’ while optimizing the database and this plugin will do that for you. How to disable post revisions? The previous section covered how to delete post revision if you want. You can use that plugin anytime to check if there are few post revision and disable it. If you also want to completely disable WordPress revision feature, you can also do this by adding a single line of code on wp-config.php. This line in wp-config.php will tell WordPress not to store post revisions. Now you know how to delete post revision in WordPress. I still recommend you to leave this as it is and do not disable WordPress revision. It can be life savior when you have mistakenly done something unexpected in a post and have nothing to undo. In this kind of situation, you can easily use the revision feature and restore the post from the previous revision. So, you should not disable the revision. To keep database size small, you can manually remove old revisions. For this, there are few database optimizer plugins for WordPress. You can try these plugins to optimize your WordPress blog’s database and remove WordPress revision. What do you think about post revision? Share your views with us in comments.